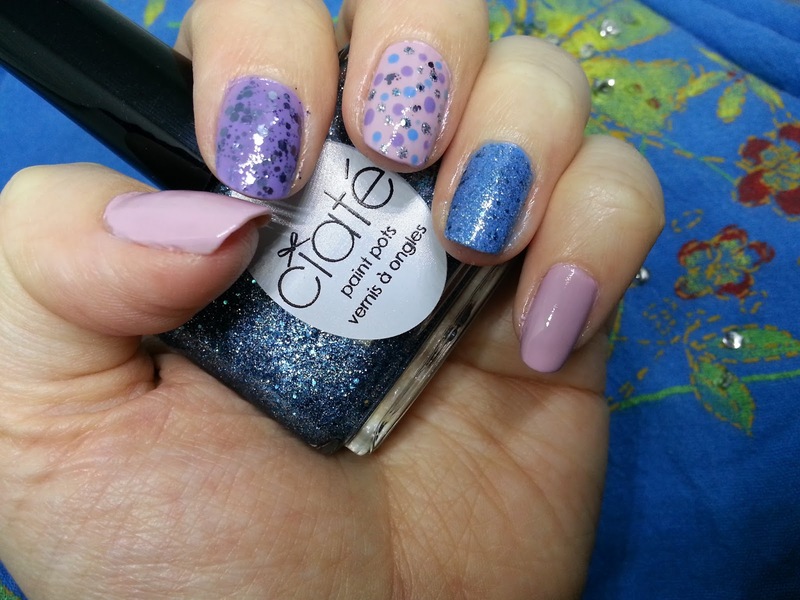 Deidre's Discoveries: Spring Inspired Nails! I don't do nail posts too often, because for the longest time, I just couldn't wear polish. Well, things have changed and now I can finally start wearing it again. I'm hoping to get some good use out of my polishes, and I wanted to do something that was Spring inspired, since it will be Easter this weekend! I tried to keep it somewhat simple, and use Spring colours. Going through my polishes, I realized I need more pastels! I have tons of bright colours, and darks. Plenty of pinks. So I'll just have to start branching out a little more in the future! 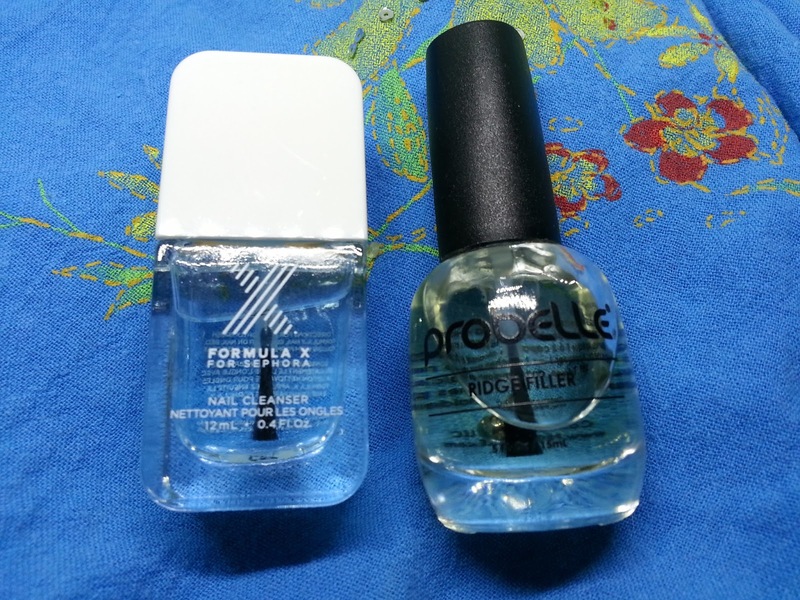 I first started by using the Formula X Nail Cleanser to prep my nails. As a base coat, I used Probelle Ridge Filler. I used Probelle nail polish in Cautious Lilac, and put that on my thumb, middle, and pinky fingers. This definitely needed two coats. For my pointer fingers, I used Morgan Taylor nail polish in Eye Candy. I also used two coats for this. 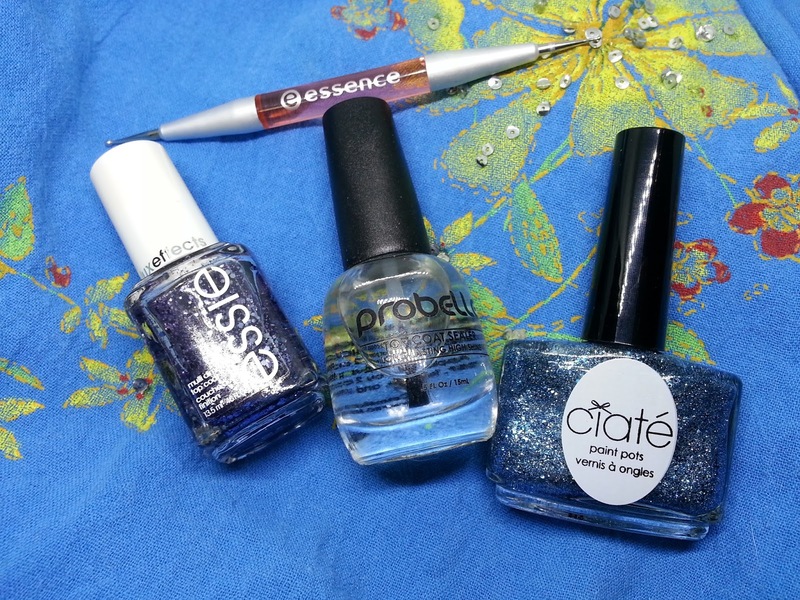 On my ring fingers I used Probelle nail polish in the shade Into the Blue. Two coats was definitely needed for this one as well. I decided I needed some sparkle on these nails! So I added sparkles! To finish up, I decided to use the Essence Nail Art dotting tool, to dot over top of the Cautious Lilac middle nail with Into the Blue, Eye Candy, and both sparkle polishes. I then used Probelle Top Coat Sealer to lock everything in, and make it smooth. Like I said, this was a very simple Spring inspired nail look. It didn't take too long to complete, just waiting in between coats feels like forever! Did you guys create any Spring/Easter nail looks? I'd love to see them!